This Magnetic Separator Tool is perfect for helping pick-up those loose pieces of metal such as nails, screws, pins, staples and more! 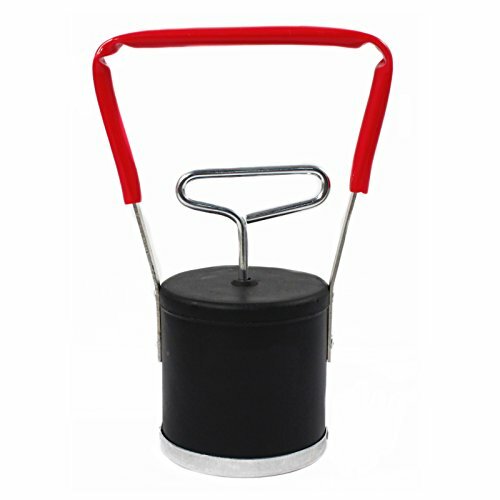 The quick release handle makes it simple and safe to remove the pieces from the magnetic surface. Just squeeze and everything effortlessly falls into the trash or storage bin. Holds up to 16 lbs of magnetic material. Diameter of Magnetic Base: 3.5"
If you have any questions about this product by Universal Tool, contact us by completing and submitting the form below. If you are looking for a specif part number, please include it with your message.